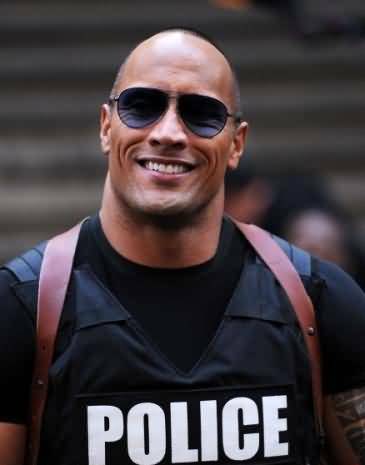 Dwayne Johnson Attached to Star in MGM’s ‘Seal Team 666’!!! Dwayne ‘The Rock’ Johnson is leading the new action film from MGM, called Seal Team 666. I have to admit, this book is on my list of must-reads. It’s going to get bumped up to the list of must-read before seeing the movie, now. Johnson has proven himself to be a bankable asset for just about any movie he’s taken on. He hit fans everywhere with a jab by co-starring in the addicting Fast and Furious franchise. He intends to double that jab with Fast and Furious 7, then plans to hit us with a TKO with Hercules. After the dust settles from the 10 count, he will already be in operation mode for Seal Team 666. Written by Weston Ochse, Seal Team 666 is the story of an elite group of Navy SEALs who battle demons and other supernatural threats that are determined to destroy the world. If you didn’t catch on from the title that this was about a SEAL team, you need to be repeatedly hit in the head with a tack hammer. Seriously, catch up peeps. Johnson will exec produce with Danny Garcia and Brendan Deneen and Peter Joseph. Evan Spiliotopoulos wrote the screenplay for not only Hercules, but is taking on screenwriting task for Seal Team 666, as well. There is no director attached, as yet and no word of any other supporting cast. Look for Johnson’s Hercules directed by Brett Ratner to hit big screens on July 25, 2014. Film Review: ‘Hercules’, Starring Dwayne ‘The Rock’ Johnson!! Check Out the ‘Hercules’ Trailer, Starring The Rock!! ‘Kon Tiki’ Star Takes The Villain Role in ‘Hercules’, Starring The Rock!!! There’s Good News and Bad News for The Upcoming Live-Action ‘Hercules’ Film!!! This entry was posted on Thursday, November 7th, 2013 at 5:29 pm	and is filed under Film, News. You can follow any responses to this entry through the RSS 2.0 feed. You can skip to the end and leave a response. Pinging is currently not allowed. « Here’s The New Trailer for The ‘Robocop’ Remake!!! I'm too old to be jumping out of cars.